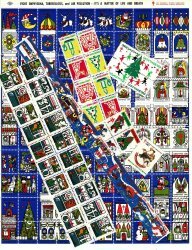 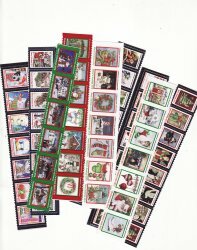 Christmas Seals in the United States were issued by various local and national societies. 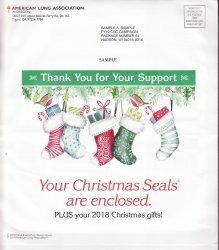 The first Christmas Seal in the United States was issued by the Delaware Chapter of the American Red Cross. 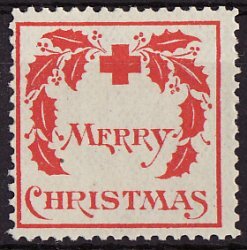 First issued in 1907 to save a small tuberculosis hospital in the State of Delaware. 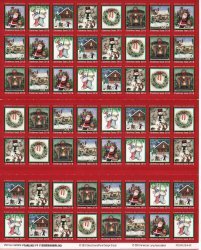 Thereafter, the seals were issued at Christmas by the American National Red Cross (ARC) 1908-1919, the National Tuberculosis Association (NTA) 1920-1968, the National Tuberculosis and Respiratory Disease Association (NTRDA) 1969-1972, and American Lung Association (ALA) 1973- present. 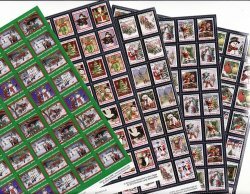 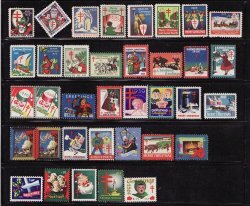 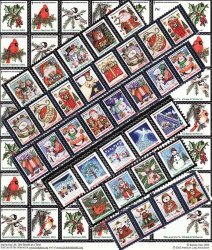 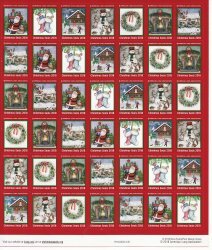 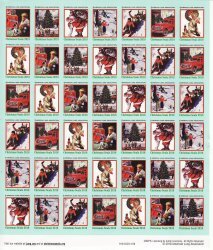 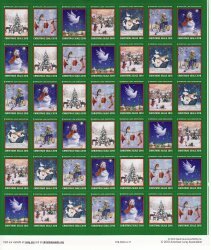 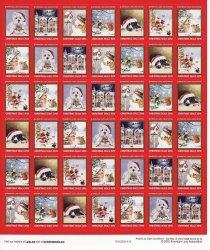 U.S. Christmas Seals are identified by Green's Catalog numbers, and Scott Catalog numbers until 1979.